It’s not unheard of, anymore, to have a career that lets you work wherever you want. In fact, many companies allow their employees to work wherever they’re happiest — home, Bali, Starbucks, McDonalds — anywhere with WiFi, really. And, there’s even more opportunities to earn as an entirely location independent creative entrepreneur. 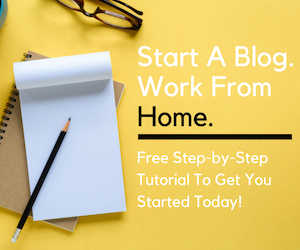 Bloggers, writers, virtual assistants, and infopreneurs (to name a few) could all get up and go and take their work with them wherever they wander. But, working as an employee, regardless of where you work, means you might have to keep a set schedule and follow the virtual workplace rules. And being a solopreneur means your success (and failure) is totally on your shoulders — no pressure, right? Fortunately, you can combine the support found at employee positions with the freedom to work as a solopreneur. How? One way is to become a jewelry merchandiser for Chloe+Isabel. Chantel wanted to use her knowledge of the biz to help women reach their own personal and financial goals. So, she came up with Chloe + Isabel — part direct sales, part eCommerce — an entirely new way for merchandisers to quickly establish an online business working with a brand they could stand behind selling products that consumers would love. Chloe + Isabel creates high-quality, one-of-a-kind designs that you can’t find anywhere else. The best part? They’re all affordable, too. They’re able to build such amazingly affordable pieces because they cut out the middlemen. That is, they design and source directly from their New York City studio and distribute their products through their network of Merchandisers. So, while they offer jewelry made by the world’s best manufacturers that are comparable in quality to what you would find at high-end boutiques, they can sell it to customer for a fraction of the price. In other words, Chloe + Isabel doesn’t have the typical reseller markup you see in traditional retail shops. This allows them to pass the savings onto their customers. Chloe + Isabel takes pride in partnering with manufacturers that share their values. These manufacturers are responsible for upholding production and sourcing standards that include fair wages, workplace safety, and employee health and human rights. If you hang out enough here at Work from Home Happiness, you know I very rarely talk about direct sales. And not because I’m necessarily against this way of doing business but because it’s just not my cup of tea. Plus, I just can’t get behind the way a lot of direct sales companies do business — unrealistic quotas, annual fees, MLM — no, thank you! And that’s exactly why I love Chloe + Isabel — they don’t follow the traditional direct sales model. So, it doesn’t really feel like direct sales at all. Instead, it’s a fun, social business opportunity where you get tons of support and can turn your passion for jewelry into a profitable online business, quickly. But, because this is a business opportunity, there are associated costs. Again, I’m typically anti paying anything to work from home. But, in this case, it’s a legitimate expense. 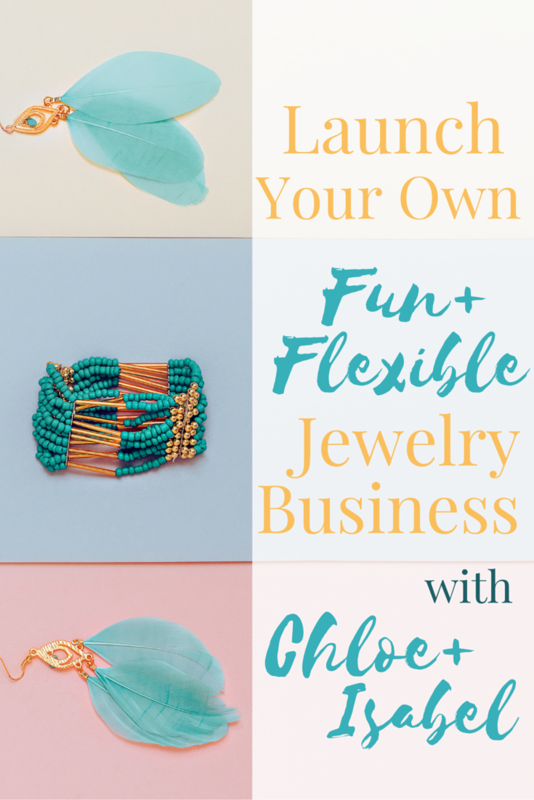 To launch your jewelry business, you’ll need to invest in the Chloe + Isabel Starter Kit. Considering a simple brick-and-mortar retail store can cost north of $30,000 to launch, the Starter Kit is a bargain for budding business owners on a budget. Plus, there’s never an annual fee to remain a merchandiser or any required purchases or expenses beyond the Starter Kit. For $175, you’re all in, and will have a functional and fun business to call your own. Remember earlier how I said Chloe + Isabel is a great way to work whenever, wherever you want? Thanks to your own customizable online boutique, you really can pick up and go knowing your shop is there to stay. And with good ol’ fashion social media marketing, you can help drive sales to your store no matter where you happen to be. You can also opt to sell in person — but you certainly don’t have to. A pop-up shop can be an effective way to drive initial sales and will help introduce your new business to friends, family and your network of new customers. As you begin to launch your boutique, a mentor will help you get established. 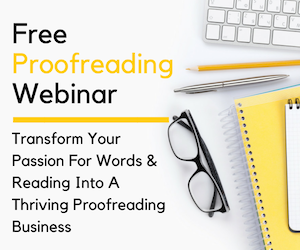 This includes advice and insight on best ways to get the word out about your new status as a c + i merchandiser. As with any sales-based business, the more you sell, the more you’ll earn. As a c + i merchandiser, you earn 25%-40% for personal sales. Earnings are paid once a month. At this time, your commissions are direct deposited onto a Visa debit card. To expand your own collection, you also receive merchandise credit when you reach certain sales milestones. For example, $50 in reward credit is earned for every $500 you sell. And to keep things fun, there’s contests and extra incentives every month — prizes include free merchandise and even paid trips to NYC. As a merchandiser you can work wherever you want and whenever you want. If you want this to be a full-time, 40-hour gig — great! If you’re only looking for a fun way to earn some extra cash, no problem! Your schedule is entirely in your own hands. I know getting started is the hardest part. That’s why I love that Chloe + Isabel offers their own virtual academy and weekly live training sessions. Their experts are ready to share their own entrepreneurial expertise with you as you launch. Plus, you get paired with a mentor who will give you as much (or little) guidance as you need. What Makes Chloe + Isabel Different? As I briefly mentioned, Chloe + Isabel takes a non-direct sales approach to direct sales. Really, it’s more about social selling and eCommerce than a classic direct sales opportunity. For starters, c + i does not follow an MLM business model. That is, you don’t have to ‘recruit’ other merchandisers to form a pyramid of sellers beneath you. And there’s never any quotas you have to meet each month. And since members have to apply to make it as a merchandiser, there’s never an oversaturated market or sellers who don’t quite fit the c + i mold. If you love jewelry and always wanted to start your own business, there’s really no better brand than Chloe + Isabel — but don’t just take my word for it. Current merchandisers and fashion editors alike have a ton of praise for the Chloe + Isabel brand — and that certainly says a lot about them as a business. So, whatever your personal, financial, and business goals are, you can receive the innovative tools and training to meet them thanks to the Chloe + Isabel formula for success. And always remember, no matter how great the company support or resources to help you succeed, there is no substitute for hard work! As a business opportunity, you will certainly need to put in plenty of your own time, energy and effort to be successful. And, since Chloe + Isabel is all about social retail, you’re gonna have to be social! Sign up below to receive access to the free resource library (created specifically for out-of-the-cube thinkers, like you). In it, you’ll find a quickstart guide to social media marketing to help you make the most of your online presence and get your first sales to roll in! Think you have what it takes to make it as a Chloe + Isabel Merchandiser? 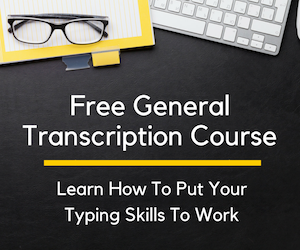 Apply now to get started! Thanks for sharing the details on how to get started Ashlee. Hope it’s been a great week!